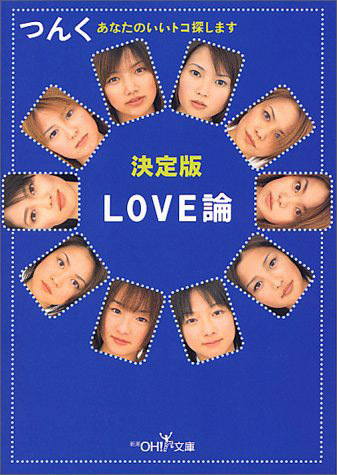 I've now finished my translation of Tsunku♂'s first book, "Love Theory." ah, I wish I knew more Japanese so I could understand these. This seems to be part of an interview with Tsunku talking about the changing wota demographic? The tweet has 27k likes and it's getting a lot of buzz from 5ch, so it must be quite the topic. This is part of the interview included in the recent Morning Musume 20th Anniversary Official Book, the first part of which was posted just above your post. (Thanks jigenbakuda!) This particular segment is going to be in either part two or part three of my translation. In a day or two, I'll be handing the H!P Radio Shows project over to my successor, kylis1. Fear not: torrents that are part of the project so far -- as well as all future ones -- will continue to be seeded for as long as humanly possible. Thanks to everyone for your contributions and interest in the project during the time I was in charge of it. This project has been successfully maintained for over five years now and I hope it will continue to go on indefinitely, as per the original plan. Let's see how long we can keep a good thing going, huh? FIVE STARS Gaki-Kame is now fully translated. Better late than never, right? The original expression was "そうゆう趣味." I'm quite confident that by "that kind" she meant "someone who likes girls."